If I was ever on Jeopardy and there was a category entitled “Foods that start with the letter X,” I would totally clean up. Speaking of game shows, remember “Family Feud?” That’s sort of what I felt like trying to prepare for “X week.” (Big red X's flashing across my screen as I searched for foods starting with X). If you follow me on Twitter, you know that I spent over an hour last week wandering around Chinatown looking for Xigua, a type of watermelon grown in China. As some of my followers pointed out, since it’s technically just the Mandarin name for watermelon…why couldn’t I just use a regular watermelon? Well, because I’m obsessive, and when I get fixated on something, I can’t let it go. I wanted the Chinese watermelon with the almost-black skin. Turns out, they aren’t in season yet. Onto the next obscure X food. I discovered there are a couple of Greek cheeses that start with the letter X. Perfect! I love cheese and I also love Greek food. One is called Xynotyro and they other is Xynomizithra. “Xyno” means “sour” in Greek, so both are more of a creamy, sour type of cheese. I called around to a bunch of cheese shops and Mediterranean delis, and no one had even heard of Xynotyro. Mizitra is slightly more common, but not the particular kind I was searching for. I learned there are actually three different types of Mizithra, but only the dry, grating variety is generally sold in the U.S.
Getting dangerously close to striking out here. Turns out, the Greek word for “dry” is “xeri,” so in Greece, this type of cheese is commonly referred to as Mizithra Xeri. So what did I do? I went and bought some Xeri Mizithra. Is it a stretch? Yes. Do I care? At this point, no. 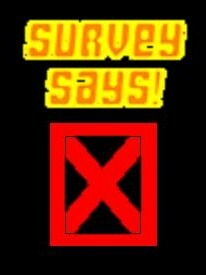 (Still, for some reason, I picture Alex Trebek saying “Sooorry, no.” Either that or three big, red, flashing X's). So now that I had it…what should I do with it? I tried a little piece of the Mizithra. It crumbles sort of like feta, but it is more similar in taste to a Parmesan, and grates like an Italian hard cheese as well. It’s also extremely salty. I decided to see how it would taste in Spanakopita, which is a traditional Greek dish. To make spanakopita filling, you need some cooked spinach. However, I happened to have a bunch of lacinto kale in my fridge, so I decided to use that instead. I sautéed some garlic and onion in a little olive oil, added the kale, and cooked until wilted. Season with fresh cracked pepper and just a smidge of salt. (The cheese is pretty salty, so you won't need as much as you normally would). Once the kale has cooled, mix it with some ricotta, Greek oregano, egg, and the grated Mizithra. Normally with Spanakopita, you would spoon onto phyllo dough strips and fold into triangles like a little flag. I hate working with phyllo, and the one time I tried folding these, it turned out less than perfect looking. So guess what? I went back to my mini muffin pan and made Spanakopita cups! 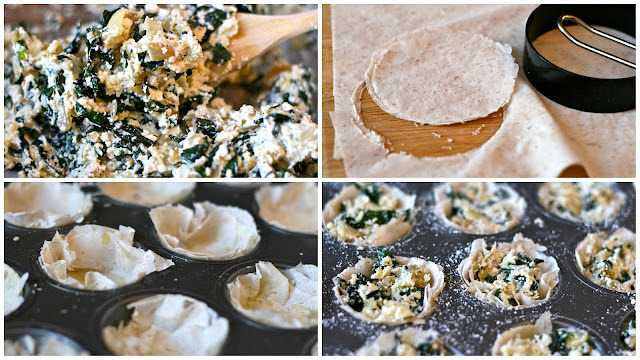 To do this, I cut out a bunch of round pieces of phyllo, brushed them with olive oil, stacked three or four in each cup, and filled with the spinach mixture. Bake in the oven for 20-25 minutes…and voila! Spanakopita Cups with Mizithra Xeri! Preheat oven to 400 degrees. Spray mini muffin pan with cooking spray. Heat olive oil over medium heat and add garlic. Saute until soft, and add kale. Cook until wilted. Season with pepper and a pinch of salt. Remove from heat and cool. To make filling, combine kale, both cheeses, egg, and oregano. Place damp towel over phylo dough while you work. (Try to work quickly so it doesn’t dry out). Cut dough into small rounds. Brush with olive oil. Stack 3-4 rounds in each cavity of a mini muffin pan. Spoon in spinach mixture. (Top with additional Mizithra if you wish). Bake at 375 degrees for 20-25 minutes or until cups are lightly browned and filling is heated through. Serve hot! Regardless if they really start with x or not they look delicious. What are you going to do after Z? Will you keep blogging? Hey Karen! For some reason I just now saw this. :) Thank you! I just remembered I have some leftover phyllo in the freezer. Might need to make these again!